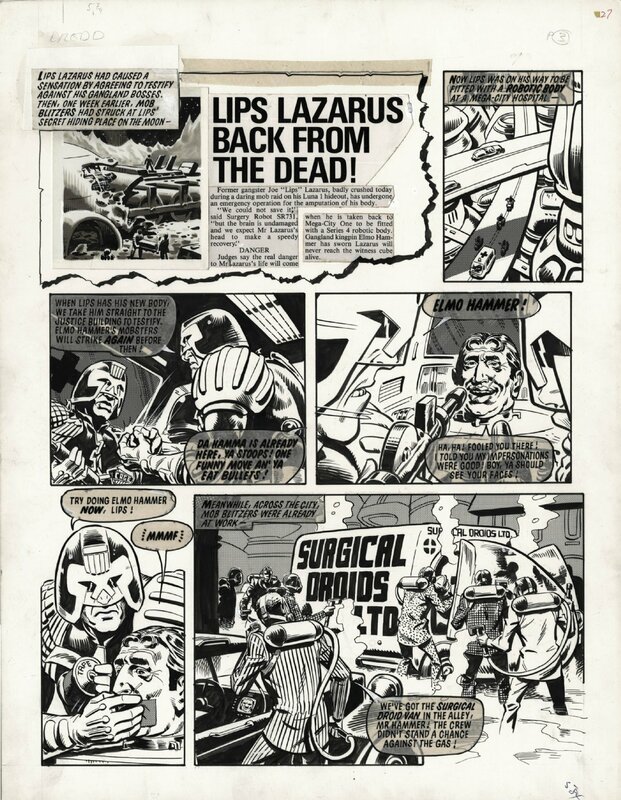 Superb early 2000ad JUDGE DREDD page from 'Dredd and the Mob Blitzers' in 2000ad Prog 130, 15 September 1979. Dave Gibbons only ever drew this one Judge Dredd short story (he helped ink a Bolland episode to help Brian out, but it wasn't his strip). A rare chance to get a Judge Dredd page from the creator of the Watchmen! Active art is 34 X 45 cm.